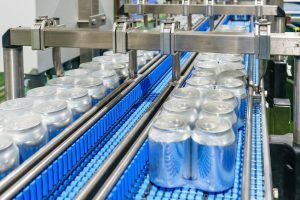 Beverage manufacturers throughout the US are constantly on the hunt for top-rated copackers that they can trust with all of their ready-to-drink (RTD) beverage production. Luckily, Tropical Bottling Company can serve beverage manufacturers from coast to coast with our comprehensive copacking services designed to get your safe, great-tasting products on store shelves fast. Whether you are an established brand or a new beverage start-up, we can help. We work with beverage manufacturers of all sizes and have the production capabilities to match. For those new to the beverage industry, we offer our turnkey trial run program, which is specially designed to save you money on production runs as you test new products in the market. However, for those with established brands fighting to meet production demands, we also have the ability to quickly turn out top-quality products to fulfill orders and restock shelves. Why Choose Tropical Bottling & Beverage? We aren’t just copackers. We are industry experts who can provide beverage manufacturers with best recommendations, production efficiency, safe products, and superior post-production support. Our expert copackers can help advise you on the best methods for producing your products to save you time and money while never compromising on quality or turnover time. We also offer a wide range of can sizes and styles to suit your unique brand and can provide a broad assortment of labeling, packaging, and storage options. Additionally, we have extremely high-quality control and safety standards, are certified by the HACCP, and are an SQF Level II certified facility, so you can always trust us with your food safety – and quality. Better still, we are located in close proximity to one of the country’s largest ports and offer export services to help you expand your market reach. If you are a beverage maker in Florida, Georgia, Alabama, Mississippi, Louisiana, or other states throughout the US and in need of copackers you can count on for great RTD beverage production every time, turn to the experts at Tropical Bottling Company today. We work with beverage manufacturers across the US and look forward to helping you build and/or expand your brand. Contact us today!